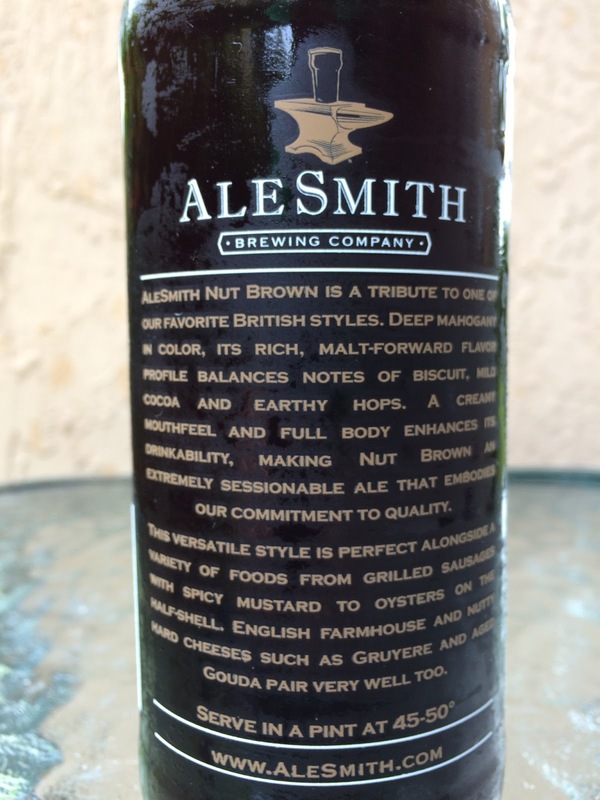 So you heard me mention Total Wine grabbed some Alesmith beers in a Brewery Direct deal right? 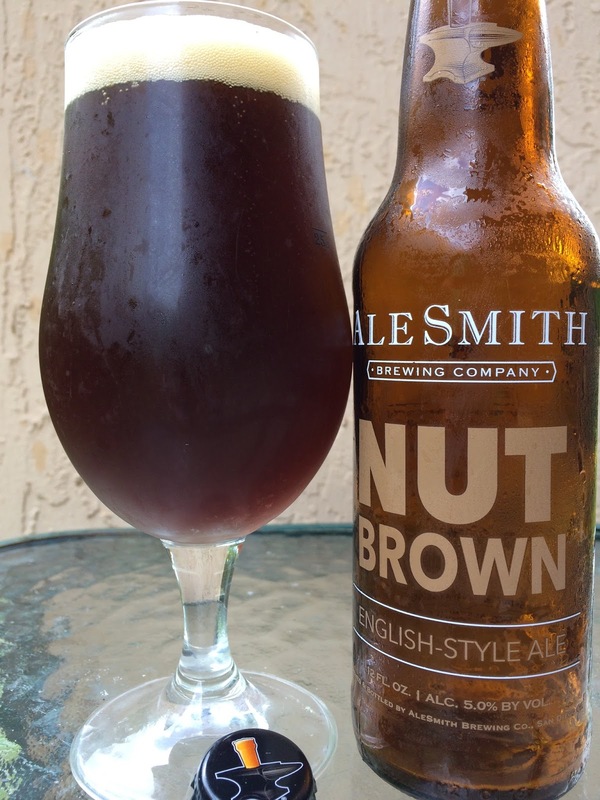 Well, today I'm checking out their Nut Brown English-Style Ale. Demonstrative name on the label but otherwise pretty simple. No foofy label, damn it! Though I'm a big "cool label" guy! 5.0% alcohol. Bottled on 6/07/16. Serve in a pint glass, 45-50°F, which I didn't do. There's a story that says this beer is a tribute to one of Alesmith's favorite British styles. Thank God they didn't stoop to the British "favourite." Even Google says I misspelled that word, LOL. Food pairing suggestions follow. You can read below, I think. Malty aroma full of cocoa, lightly sweet, with a hint of nuttiness. Very creamy texture. Cocoa flavors with some light roast, light coffee, light smoke, light raisin. I guess this beer is basically showcasing a bunch of interesting nuances! Now, Nut Brown is NOT sweet and has plenty of hoppy balance. Full of flavor! Very enjoyable! Check it out.